18+ Only Full Bonus T&C Apply. Royal Panda has cemented its strong position in the online gambling industry and is regarded by an impressive number of players as a reliable and fair web-based gambling destination. The online casino offers an extensive catalogue of quality games that are developed by key software suppliers like Microgaming and NetEnt. The games on offer are available in Instant Play mode which furthers players convenience since no software download is required in order to join in with a few real-money bets. At Royal Panda, there is something to suit all preferences and bankrolls. Players get to choose from a plethora of premium slots, video poker variations, classic table games like roulette and blackjack and bingo. Some of the available titles have huge progressive jackpots that have the potential to transform the lives of lucky players’ all over. Traditional casino games are streamed in real time in Royal Panda’s Live Casino. Yet, gaming diversity is hardly the only advantage of joining the Royal Panda community. The latter is mobile responsive, allowing casino enthusiasts to bet while on the move. In addition, all payments are processed in a secure and convenient way and plenty of reliable payment solutions are accepted. These include popular options like Skrill, Neteller, Paysafecard, Visa, and Mastercard. Players get the royal treatment and are rewarded with various bonuses for their loyalty. New players, who open accounts at Royal Panda, can rest assured they are registering at a legitimate online casino that operates under licenses issued by the UK Gambling Commission and the Maltese Gaming Authority. Should you experience any issues with registration or claiming a bonus, you can always count on Royal Panda’s obliging support team to get the problem solved. The representatives can be reached via the live chat facility, email or over the telephone. Royal Panda Casino received its first license in September, 2013 and was launched in March, 2014. The minimum amount players can deposit at Royal Panda is set at €/$/£10. Maximum deposits are limited to €/$/£15,000. Minimum withdrawals also stand at €/$/£10, while the upper limit ranges between €/$/£50,000 and €/$/£100,000, depending on the withdrawal method. Presently, there are no active No Deposit bonuses available at Royal Panda. 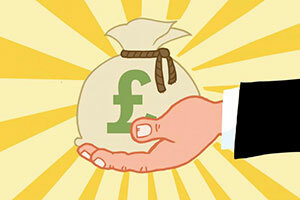 Make sure you check the casino’s promotional section regularly to see the latest bonus offers. 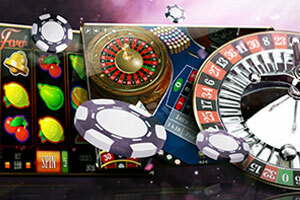 Newly-registered players get to claim a fantastic Welcome Bonus of €/$/£100 in free casino credits. To qualify, players should make a deposit of at least €/$/£10. Wagering requirements of 35x for casino games or x10 for sports (min. odd 1.80) bonus amount apply. 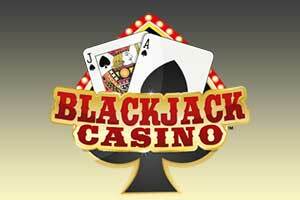 Blackjack fans can claim a €/$/£210 Live Blackjack bonus on each 21st day of the month. Additionally, there is a 50% weekly Bamboo Bonus of up to €/$/£150 for those who deposit on Fridays. Royal Panda also awards free spins on selected slots only. Please note wagering requirements typically apply on the bonus offers. Players automatically join the Loyal Panda programme upon completing their registration. The programme consists of four tiers – Bronze, Silver, Gold and Diamond. 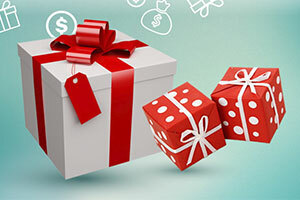 The points can later be exchanged for free casino credits to play with and various gifts like jewellery and tablets. Royal Panda utilises software by industry frontrunners Microgaming and NetEnt, but other providers like Leander Games, NextGen and Quickspin have also contributed to the portfolio. The Live Casino runs on software provided by Evolution Gaming. Royal Panda members can win big by playing Mega Moolah, Major Millions, Fruit Fiesta, Treasure Nile, LotsALoot, King Cashalot, and WowPot, among other games. The online casino is home to an extensive collection of video slots, video poker variations and casino staples like blackjack, roulette, poker, baccarat and craps. Players can enjoy 16 Live Dealer games. Some of the most popular options include London, Immersive and Double Ball Roulette, VIP Blackjack, Baccarat, Caribbean Stud and Casino Hold ‘em Poker. 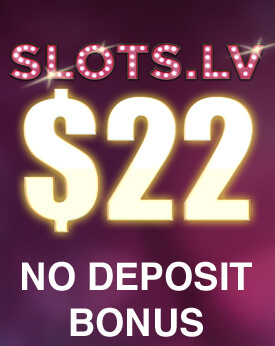 The mobile casino is home to over 220 quality games. Players can load the games directly in their portable devices’ browsers since Royal Panda is fully mobile-responsive. The available deposit methods include iDeal, AstroPay, DineroMail, Paysafecard, Neteller, Skrill, eKonto, TrustPay, GiroPay, Euteller, Visa and Mastercard. The casino accepts accounts in the following currencies – EUR, GBP, INR, MXN, NZD, PLN, SEK and USD. Royal Panda’s website is presently available in English, German, Czech, Swedish, Portuguese, Chinese, Spanish and Polish. Players can ask for assistance via the 24/7 live chat facility, by sending an email at support@royalpanda.com, or by calling +356 2778 0418. Royal Panda is licensed and regulated by the UK Gambling Commission (No. 000-039221-R-319351-004) and the Malta Gaming Authority (MGA/CL1/1135/2015). In order to prove virtual players that they can enjoy a wonderful time while gambling online, Royal Panda has prepared a host of gaming options that can entice every type of casino enthusiast. Interactive gaming has long become a convenient way to enjoy numerous gambling options without even setting a foot into a brick-and-mortar casino. Not only does Royal Panda offer its patrons various types of casino games but every category presents numerous options that can suit the style of each gambling fan. From classic slots to progressive jackpot games, this virtual casino truly knows how to achieve the most exciting experience for its members. In order to provide online players with the highest quality of casino entertainment, Royal Panda has joined forces with leading software companies. 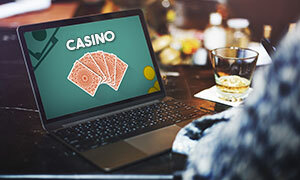 This way the web-based casino has made sure that its patrons will be able to enjoy fun, innovative and lucrative games anytime they log into their gaming account. It is highly unlikely to meet a casino enthusiast who does not find slot machines entertaining. This is why this is an important category at Royal Panda’s gaming library. For those who enjoy spinning reels in the hope of landing winning combinations, this virtual casino has prepared an abundance of slot variations. Those who enjoy the classic look of fruit machines can find many slot variants inspired by the old style of slots. If you do not feel like you need multiple paylines or reels in order to hit a grand payout, you can try the titles that fall under the category of Classic Slots. Royal Panda has a lot to offer when it comes to slots and players will definitely have plenty of options to choose from. In addition to the classic slots, Royal Panda can also offer numerous video slots that can change the gaming experience for many slot fans. If you want to enjoy spinning adventures with multiple paylines and more than 3 reels, you should definitely give one of these games a try. Since this interactive casino relies on some of the best gaming developers in the industry, players should expect numerous slots with fun themes, special symbols and bonus rounds that can make every spin more lucrative. 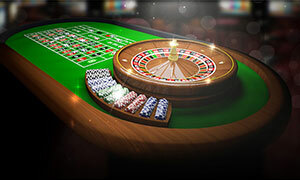 When we are talking about casino entertainment, it is impossible not to mention classic games such as roulette. This category is capable of enticing every roulette fan who is a member of Royal Panda. For those who enjoy playing the table game, the virtual casino has prepared versions with wonderful design and plenty of advanced betting options. Many players prefer European of French roulette as both of the variants have lower house edge and there is a bigger chance of enjoying a fruitful outcome. Royal Panda will have the chance to enjoy both of the variants of the classic table game. This, however, does not mean that players will not be able to find the riskier American Roulette among the games provided by Royal Panda. What is even better about the roulette diversity provided by this interactive casino is that gambling enthusiasts will be able to choose the game that suits their bankroll the best. You can play with lower stakes or opt for titles that promise higher payouts but also require bigger bets. Whatever is your preferred style of playing, you can enjoy it at Royal Panda. For those who are fans of the game of 21, this amazing interactive casino has prepared several amazing and rewarding blackjack options. This way you will be able to enjoy a wonderful gambling experience without even leaving your cosy home. The games in this category all have wonderful designs and each blackjack table resembles the ones you are used to seeing in top-class brick-and-mortar casinos. There are various types of blackjack games available at Royal Panda and players have the chance to pick the title that suits their taste perfectly. What is more, casino patrons will be able to choose between games that are designed for high-rollers and others which are more suitable for players who make lower stakes. This way every type of blackjack enthusiast can be satisfied with his/her experience at Royal Panda. 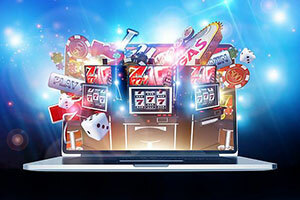 This online casino definitely knows how to please its patrons and this is why it has joined forces with some of the best gaming providers in the iGaming industry. This also contributes to the blackjack selection that interactive players are presented with at Royal Panda. For those who are intrigued by video poker, this interactive casino has prepared quite a few variants of the game. Many gambling enthusiasts enjoy this genre of casino entertainment as it combines elements from both classic poker and slot machines. It is inevitable to think that you have almost no chance to win on video poker as soon as you hear that it is a game similar to slots. In reality, however, if you use the right type of strategy you will be able to improve your chances of sweeping great payouts. If you are a member of Royal Panda, you will have access to several video poker variations which can present you with wonderful prizes. If you are ready to begin your casino adventures and try some video poker strategies, you can start at this virtual casino. As a patron of Royal Panda, you will be able to play games such as Jacks or Better Double Up, Deuces Wild Double Up, All American Double Up and many other variants. If you are dreaming of becoming richer over a night, you can always try your luck and become the next instant millionaire. At Royal Panda, you will be provided with the chance to win some major jackpots that will significantly boost your bankroll. 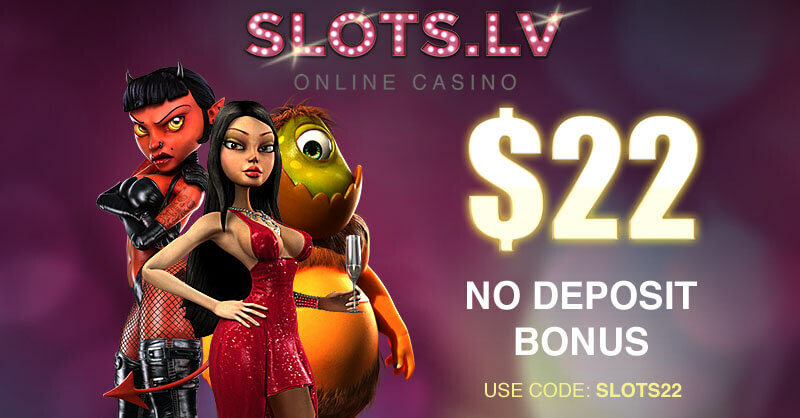 This virtual casino has a lot to offer when it comes to progressive prizes. Members of the casino have the chance to make a small bet which can bring them the win of their lives. If you load the section with progressive games, you will notice quite the number of titles that have constantly increasing prize pools. 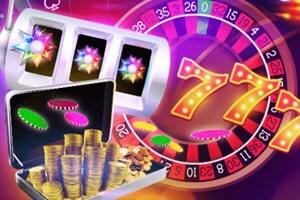 This allows virtual players to pick between some of the games that offer the current biggest jackpot prizes. For those who are interested in the progressive titles that Royal Panda presents, it should be noted that only players who make maximum bets will be qualified to win the constantly growing jackpot. Even though the idea of landing millions of dollars with a single spin sounds tempting, it is advised you stay away from these games if your budget does not allow you to play. If you, however, are determined that it is your lucky day and you will easily sweep a major cash prize, you can try games such as Mega Moolah, Major Millions, Mega Fortune and many others. Another exciting category at Royal Panda is Live Casino. Thanks to the games in this section of the virtual casino online gamblers will easily forget that they are not in a snazzy brick-and-mortar casino but in their own homes. 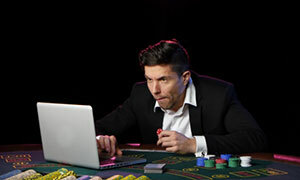 This web-based casino has decided to trust some of the leading companies that offer live-dealer games. This is why you can be sure that the games available at Royal Panda are being streamed from some of the best Live Casino studios in Europe and Asia. With the newest technology that is used by gaming providers, the live streams of casino games can easily make every player feel like he is playing in some of the best land-based gambling facilities. Patrons of Royal Panda will be more than pleased with the diversity of live-dealer games that they will be provided. When you feel like your online gambling is missing something, you can head to the Live Casino section of Royal Panda and choose from several roulette, blackjack, baccarat and poker tables. You can pick the game with the betting limits that suit your budget and enjoy several fun and rewarding Live Casino games. Are there any fees on deposits and withdrawals? Players, who register with an account at Royal Panda get to choose from a wide range of safe, easy-to-use and quick payment methods, including widespread debit/credit cards, prepaid payment solutions like Paysafecard and e-wallets by Skrill and Neteller. What is more important, Royal Panda processes both deposits and withdrawals free of charge. Please note that some banking institutions and online payment services companies may charge you with fees for processing your payments to Royal Panda. Contact your banking institution for more information on their fees and policies. Can I play on the go and what mobile devices are compatible? Royal Panda is mobile responsive which means players can load the website and the games directly in their portable devices’ browsers. The website is compatible with all widespread mobile devices, including smartphones and tablets running on iOS, Android and Windows. The operator has set up a diverse mobile collection which spans over 220 games. Is it secure to register and play at Royal Panda? The answer is yes, Royal Panda is a legitimate online gambling operator which provides its registered players with a secure, fair and transparent gaming environment. All the information concerning players and their financial transactions to and from the website is hosted on certified, safe HTTPS servers. Personal and financial data is heavily encoded by the latest 256-bit SSL encryptions. All games run on Random Number Generators and are proven to be fair since they are audited on a regular basis by third-party testing agencies. I registered at this casino because I knew it was safe, trustworthy and it had games from NetEnt and Microgaming. I didn’t expect the collection of games to be so diverse – they offer plenty of other titles from many developers, so there is literally something for everyone. Players can choose from various payment methods, while transactions are very fast and secure. 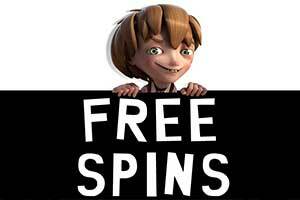 There is a nice no-deposit bonus of 10 free spins at the Starburst slot. Also, the casino doubled my first deposit of £50 and I had £100 in my account. The wagering requirement wasn’t high at 35x, but there was one unpleasant surprise – it could be met only with the funds from my cash balance. I wish the casino reconsiders its policy because it makes it really hard for players to wager the amount of the bonus, while the bonus itself is locked and cannot be actually used. I joined Royal Panda a few days ago, opening the casino site directly in the browser of my phone. The mobile casino looks and feels very smooth and intuitive, and it is fully functional from what I’ve seen so far. I registered easily and I deposited £100 with Paysafecard, but then I saw that players using this payment method are not eligible for the welcome bonus, which didn’t matter for me, to be honest. I started with the Reel Rush slot with £1 bets, then I played Starburst for a while, ending with £136. Of course, I couldn’t cash in because my account was still not verified, but I’ve had several great hours at this casino. Everything loaded fast and I had no technical problems with the mobile games. Tonight I’m playing again, but this time I’m planning to invest a little bit in blackjack or roulette and hopefully, I will earn even more. This is certainly one of the best casinos I’ve ever played at. Compared to many of the gambling sites across the web, Royal Panda is a true gem because the games are of high quality and don’t crash, the payments are fast and reliable, and the bonuses are given as real cash. Moreover, the deposits are instant and the verification procedure is standard, at least for UK casinos. The website has a modern, fun appearance and it’s easy to use, even for newly registered members. There is a nice loyal program, but the accumulation of points is pretty slow and you need to play a lot in order to progress to the next tier of the program. Other than that, the casino is worth every minute and every penny. I love playing video slots at Royal Panda because of the good odds, the friendly support staff, and the fantastic selection of games from Microgaming, NetEnt, NextGen, and Evolution Gaming. After I registered at the casino, I deposited £80 and received a matching bonus, thinking I could start playing with £160. However, I could use only my deposit money to meet the wagering requirement. I barely managed to do it and then my bonus was released. I ended up with almost £140, but my account still wasn’t verified, so I decided to continue playing. It wasn’t as good a strategy as I thought it was at the moment because I eventually lost almost everything. Still, I’ve had a wonderful time playing here and I plan on making another deposit very soon. This is a good, trustworthy casino where you can play for hours different games. There are slots, video poker, as well as a great collection of card and table games – roulette, blackjack, baccarat, poker, and craps. Sometimes, I also enter the live casino which is very glamorous and professionally made. I enjoy some of the roulette tables and the blackjack game the most. When it comes to payouts, they are very fast and I’ve always received my winnings without any problems. I’ve experienced no technical issues with the games, they all load instantly and never crash. The bonus system is a little unconventional and it may take ages until you successfully meet the wagering requirements.